Thanks for attending Handle Reputation Crisis Webinar. Thank you for attending our webinar on Handle Reputation Crisis. We hope you find valuable information as you explore what you can do with SEO Autopilot software. However, if you haven’t tried already SEO Autopilot you can have a first encounter with our software by downloading it totally for free. 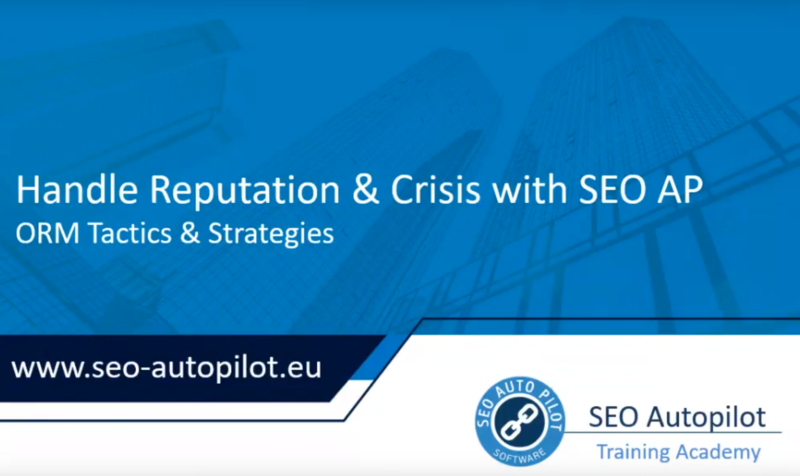 SEO Autopilot offers a free seven-day trial for new customers that will include full access to the software, so you can see in detail all the features, the quality of the sites you can post to, the super high success rate, access to our video tutorial course and most importantly to welcome you to the SEO Autopilot Community.